Louisville: White Fields Press 1994, stapled pictorial wraps, issued in an edition of 26 lettered copies signed by Burroughs. 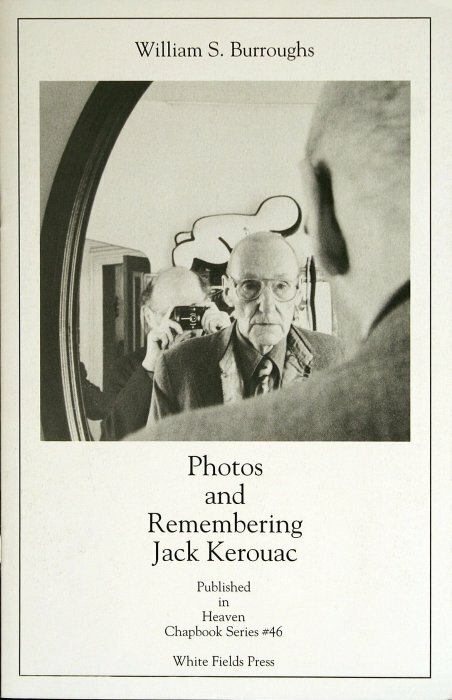 Photos of Burroughs by Allen Ginsberg, text about Kerouac by Burroughs. _____ an edition of 49 numbered copies signed by Burroughs. _____ 250 copies comprising the trade edition, neither signed nor numbered.